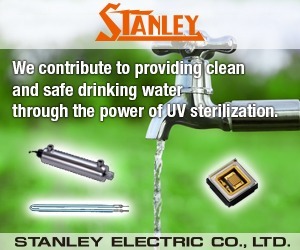 Why Buy Certified Water Treatment Products with Installation by Professionals? Performance testing confirms the contaminant removal claim by the manufacturer, such as arsenic, chlorine or other target contaminants. Material safety testing is extraction testing and evaluation of contaminants that may leach out of the wetted parts of components or complete systems and into consumers’ drinking water. Structural integrity testing confirms the structural safety of systems and/or components that are connected to the service plumbing of a residence or commercial structure. Validation of components and systems are required in many states before a product can legally be sold. Failure to comply with these jurisdictional regulators will result in heavy fines and potential litigation. In addition to the monetary investment of product certification, the time required for testing can be lengthy, depending on the number of tests to which the product or system is being certified. Conscientious manufacturers know that these certifications are important not only for legal reasons, but also to maintain a competitive advantage in the market and a solid reputation as an ethical and reliable company in support of the water treatment industry. These manufacturers are regularly monitored to ensure that their processes, materials and finished goods are consistently replicated. Failure to comply with these standards results in loss of their certification(s). Good companies work very hard to maintain their certifications, which provide piece of mind to dealers, distributors and especially the consumer. Installation by qualified, professional water treatment personnel is recommended because they are trained for this kind of work. Many dealers will send their service technicians and installers to the systems manufacturer for in-depth product training for installation, start-up, commissioning and specific maintenance, service and diagnostic procedures for their products. 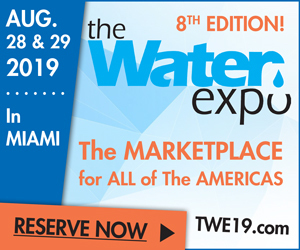 When there are multiple components and/or systems required for problem water, the consumer should defer to the professional dealer for installation, start-up and commissioning of a complex system, where routine and consistent maintenance is required. 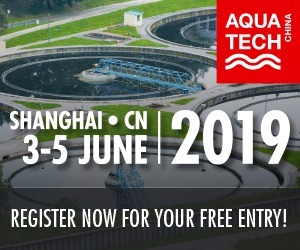 This brings us to a sensitive issue between consumers and water treatment dealers, which is the availability of water treatment products from big-box outlets and Internet sales outlets. 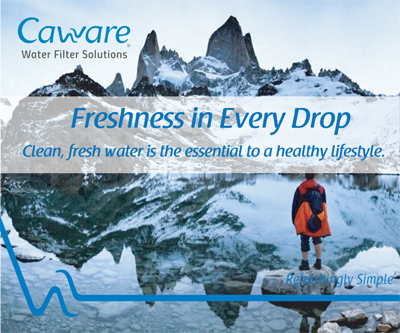 Consumers who want filtration or softening for water that is provided by a water utility where chlorine and hardness are the only issues may do alright with products from either of these suppliers. Even in these seemingly easy DIY applications, however, catastrophic consequences can be the result of unqualified installation capabilities. Buying systems from Internet providers may be risky as well, especially where a problem-water remediation project is involved. The sweet taste of cost savings is quickly diminished when the installation and start-up are completed only to find that something was overlooked and the anticipated outcome is not achieved. In many but not all cases, the Internet sales company is not much help in resolving the problem because important details were ignored or not considered when the equipment sale was made. They assume when a product or products are purchased that the consumer knows what they are doing and therefore, technical support is limited or not available at all. On the one hand is the DIY consumer who is very capable and can read and comprehend installation instructions, diagrams and start-up procedures. They can connect a system to the service plumbing, provide a code-compliant drain connected to the sanitary system with an air-gap and maintain the system from then on. When they have a problem and are unsure how to proceed, they do the right thing and call on qualified specialists to guide them through the rough spots for a successful completion of their project. On the other hand is the consumer who couldn’t pour sand out of a boot with directions on the heel! Dealers, installers, service technicians and sales representatives who have been called to rescue this type of consumer are very familiar with the frustration they face in maintaining composure, when every fiber of their being wants to scream “Don’t quit your day job!” Then comes the bombshell, when the consumer doesn’t believe condemnation of their system because it is out of specification relative to the water chemistry or hydraulic requirements. Informing them of what it will cost to provide the proper treatment system to remedy their problem-water issues results in the professional being perceived as the bad guy, when the original equipment seller may be the real culprit. Or, to be fair, the consumer didn’t follow the counsel of the seller and instead purchased a product that (s)he thought provided more benefits for the same price. This author can certainly identify with anyone who has had to deal with a frustrated consumer who is embarrassed and must admit their mistake, then make the additional financial investment in equipment that resolves their water problems. Add to that the stipulation that the equipment is to be professionally installed, started up and serviced by qualified personnel from your water treatment company. It may be a bitter pill for the consumer to swallow, but when they finally experience properly treated water, they will appreciate the professional dealer and his or her services and become a loyal customer, which in turn translates to referrals of friends and family. Big-box and Internet outlets do sell certified water treatment products, which is a good thing. Unfortunately, the level of product knowledge and application expertise is, for some, severely lacking, generally because there are multiple product lines that require fundamental knowledge of application, specification and performance guidelines and limits. 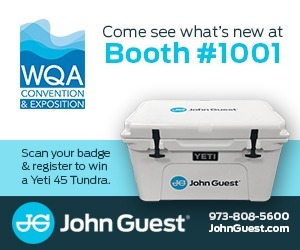 In some cases, there is no ability to help with interpretation of a water analysis to ensure the right equipment selection; but because the cost is so much less compared with that of a retail dealer, the consumer hopes for the best and makes the purchase anyway. The advent of Internet sales has really created an atmosphere of frustration for the professional dealer network in what they perceive as lost sales. Some dealers are insulted when a consumer calls to request installation or service of a system they purchased from an Internet company and refuse services to the consumer. 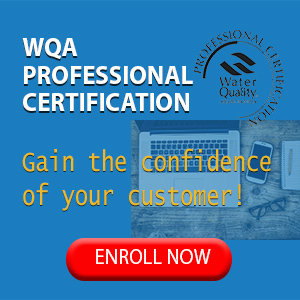 They feel like the effort they put into becoming well-educated and certified water treatment experts is diminished, that Internet providers are standing on the shoulders of the professionals and getting all the low-hanging fruit in a market these professionals see as being rightfully theirs. Other dealers take it a step further and set an appointment with the goal of summarily condemning the system and then trying to up-sell the consumer on their products and services. Be very careful here! One may damage the company reputation and their personal reputation in their haste to convert an Internet sale to a dealer sale. What are you going to say to the consumer who tells you that they confirmed that the system they purchased is within application specification for the water source and shows you the proof? Then there is the dealer that offers service and installation for all makes and models (if they can obtain service parts for exclusive dealer products) and adopt these consumers into their customer base. The reality is that Internet and big-box outlets are here to stay. Instead of bemoaning the fact, why not accept and realize that the consumer is highly informed as to the importance of high-quality drinking water and commend them for their efforts to improve the quality of their life? Adopting big-box and Internet consumers as customers will benefit company profits by increasing the customer base. Counterfeit products have become a big problem in our industry and are another contributing factor for lost sales. Unscrupulous individuals and shadow companies funnel products that bear all the labeling and certifications of legitimate manufacturers but are substandard, uncertified products that siphon profits from professional dealers and honest distributors. At the same time, this can compromise the well-being of the consumer. Due to this unscrupulous activity, an industry coalition has been formed to find solutions to halt these counterfeit products from entering the United States. The Coalition to Combat Counterfeiting (CCC) will start in early 2018. 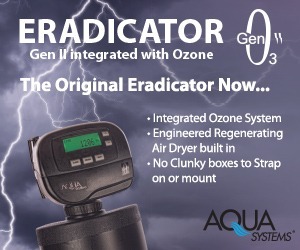 When residents in Florida, Texas, Puerto Rico and other areas of our country suffered devastating loss caused by hurricanes and were in dire need of aid, predatory companies were caught capitalizing on the consumer misery by using scare tactics to entice them to buy their water purification products or suffer terrible illness or possibly death. Fortunately, in the affected states, Attorneys General quickly moved to curtail these unscrupulous activities and punish them accordingly. 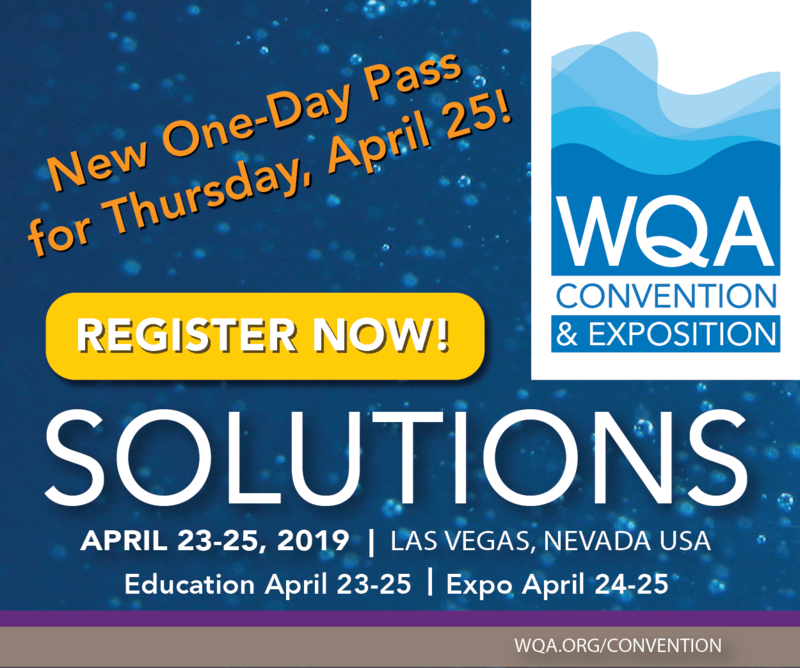 Information is very easy to access on the Internet and for those consumers who have found the proper source for accurate information (from organizations such as WQA, American Water Works Association, National Ground Water Association and US Geological Survey), they are very well-informed and can present a serious challenge to even the most seasoned water treatment dealer. Unfortunately, there is much information on the Web that is inaccurate and flagrantly misleading, which makes it hard for the professional dealer. They must disillusion the consumer with the truth before they can be convinced of the right direction to take for their water treatment needs. In any case, the astute dealer (and especially the small dealers in limited markets) must be equipped for the savvy consumer. The best way to do that is to know what the water problems are in his or her market/region. This will allow them to correctly counsel potential customers on the best treatment options for their needs. 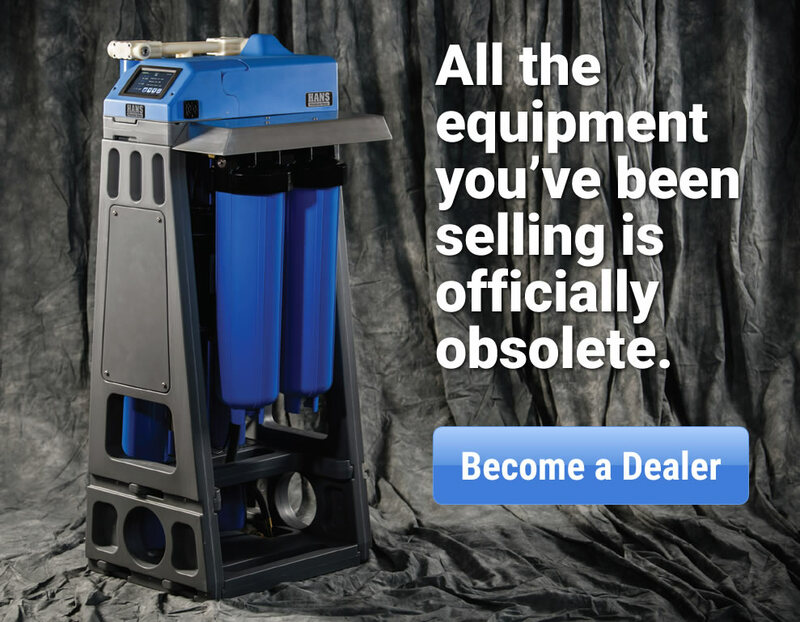 In this way, the dealer is in a good position to educate customers and prospective customers alike on the types of equipment they provide for remediation of water sources in their market, making that dealer the go-to authority in that market. For those dealers who enjoy that kind of solid reputation, they know how much work is required to achieve and maintain it. 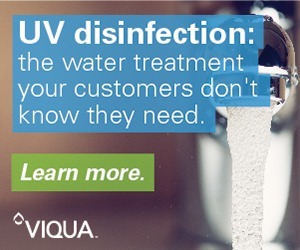 Where most consumers go wrong in their efforts to improve their water quality is knowing the fundamental requirements before water treatment can be specified. This is where the professional dealer can really shine and build credibility for the need of their professional services. First, at least a basic water analysis is required to specify the proper treatment for the quality of water the consumer is seeking. For severe water quality issues, a full-spectrum analysis is needed to ascertain with certainty the treatability of the source water. Without a water analysis and the ability to interpret that analysis, any attempt to effectively treat the water source would be tantamount to shooting at a target in the dark. Second, collection of the hydraulic limitations of the water source (whether a municipally supplied water source, a community well or a private well) is required to ensure proper sizing of the system relative to the fixture count of the residence. This includes the number of bathrooms, kitchen and laundry appliances or other specialty demands. Water pressure readings, whether high or low, must be collected to ensure efficient operation of automatic filters, softeners and specialty treatment systems. Third, plumbing, drain, electrical, environmental and spatial conditions must be assessed to make sure the specified equipment will function properly and can be accessed for maintenance and service when required. Environmental conditions must comply with the manufacturer’s warranty requirements for protection from hostile environmental conditions (including, freezing, direct sunlight, rain, dust, insects, rodents, snakes and the like). Finally, for customers with on-site waste systems, the professional dealer will calculate how much additional waste will be introduced into the septic system to prevent overloading and/or degradation of the bacterial action in the septic system from water treatment chemicals. Where diversion to the septic system is not feasible, other options, such as a dedicated infiltrator or dry well, may be specified to handle the discharge from the water treatment system. These issues are overlooked in most cases because the average consumer does not understand the importance of those details, whereas the professional dealer will collect the information and use that to ensure that the system is sized and balanced correctly for consistent, reliable performance and peace of mind for his or her customer. This is where the value of working with a professional dealer really fosters customer loyalty. While there are many dealers who lament the presence of the big-box and Internet sales outlets, there are many more who recognize the opportunity to become a service provider to the new generation of millennial consumers who are in tune with (and addicted to) the Internet. This is their source for everything because they get immediate results and gratification, to which they are accustomed. The professional dealer can help the Internet consumer avoid the pitfalls and disappointments that sometimes befall them because of something overlooked or misunderstood. 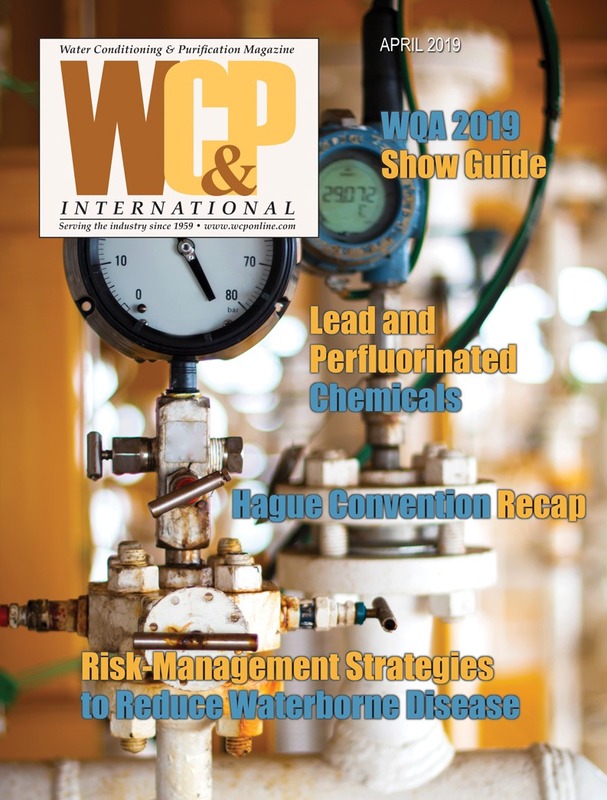 The professional dealer is not a dying breed, but rather will continue to be a stabilizing factor wherever and whenever water treatment is concerned. There is tremendous opportunity for dealers to embrace Internet and big-box sales by contacting these providers and registering with them as recommended local installation and service providers. 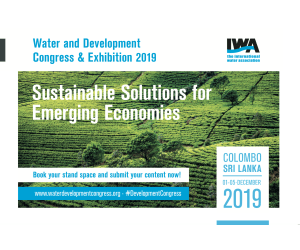 With water quality in decline all over the planet, the need for advanced treatment technologies and more efficient products will continue to move our industry forward, to provide consumers with water that is free of dangerous contaminants, as well as recently discovered emerging contaminants. And that is why effective water treatment products should be purchased from and installed by professional dealers.